Steve Asmussen didn't get to become horse racing's second trainer to win 8,000 races by being shy at the entry box. No one will run more horses on Pimlico's Black-Eyed Susan and Preakness programs than Asmussen, whose dozen-horse contingent features three in stakes Friday and nine horses in seven more stakes Saturday. Most trainers don't have one stakes horse in their barn, let alone 12 to run at one track in two days. A lot of trainers don't even have 12 horses of any kind. 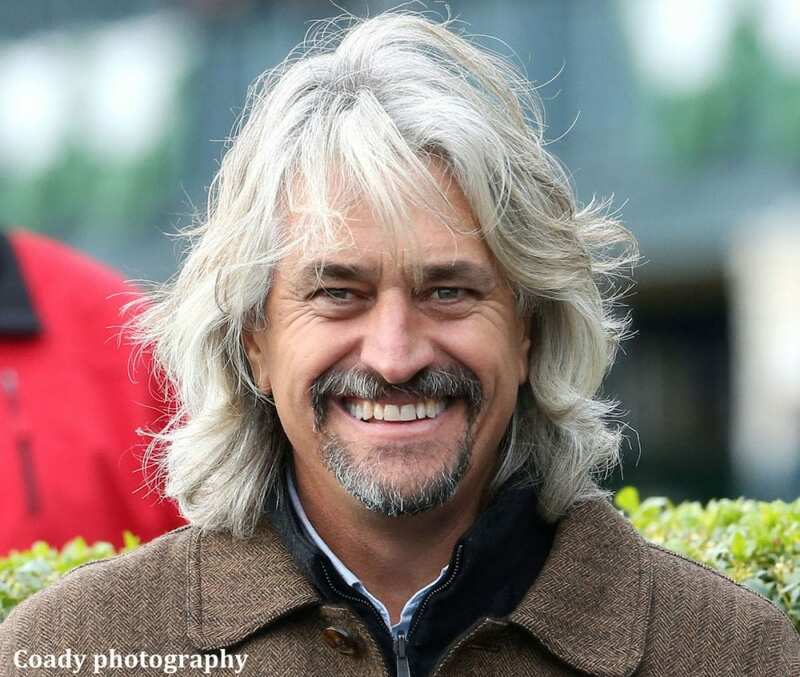 Asmussen also has run 45 different horses in stakes this year (that actually ranks only fourth so far in 2018, with Pletcher's 59 different horses leading the way), according to Equibase, official data-keeper for North American Thoroughbred racing. Winchell Thoroughbreds' Tenfold is Asmussen's Pimlico headliner, running the Grade 1 Preakness Stakes. Tenfold might be 20-1 in the Preakness, but Asmussen is the odds-on favorite to win the $50,000 top trainer bonus based on a points system for participation in the 15 stakes Friday and Saturday. Trainers must have at least five horses running in stakes to qualify for bonus money, with Graham Motion the second busiest with nine entrants spread over seven stakes. Todd Pletcher and Gary Capuano have five entries each, both in three stakes. Second place for the trainer bonus is $25,000. Asmussen also has Sunland Derby (G3) runner-up Dream Baby Dream and Rebel Stakes (G2) fourth-place finisher Title Ready in the $100,000 LARC Sir Barton to benefit Thoroughbred Aftercare Alliance at 1 1/16 miles for 3-year-olds who have not won an open stakes. Mitole, Oaklawn Park's nine-length winner of the Bachelor Stakes, is the 3-5 favorite and one to catch in Saturday's $200,000 ClearSpan Chick Lang Stakes for 3-year-olds at six furlongs, a race in which the stable also has Oaklawn allowance winner Pure Shot. Switzerland, winner of three straight and the 5-2 second choice, makes his stakes debut in the $150,000 Maryland Sprint (G3) for older horses at six furlongs. Asmussen's other Saturday horses are Tap Daddy in the $100,000 BMW James W. Murphy; Brooks House in the $150,000 Stella Artois Gallorette for fillies and mares on turf; and Chanteline in the $100,000 The Very One at five-eighths on turf for fillies and mares. On Friday, the Hall of Fame trainer has last year's Miss Preakness winner Vertical Oak in the $100,000 Skipat for fillies and mares at six furlongs. Vertical Oaks won the Prioress (G2) last summer at Saratoga in the slop. Buy Sell Hold tries to regain her winning form in the Miss Preakness for 3-year-old fillies. Untrapped, the Oaklawn Handicap (G2)) third-place finisher, finishes off the day for Asmussen in the Pimlico Special. The majority of the Asmussen horses running at Pimlico are coming out of races at Oaklawn Park. Asmussen earned his 8,000th career victory with 2017 Kentucky Derby runner-up Lookin At Lee in an allowance race May 5, Derby Day at Churchill Downs. He wasted no time working toward his next 1,000, having won 8,011 races through Wednesday. The trainer makes no bones that he wants the late Dale Baird's all-time win record of 9,445. That was produced from 56,995 starters. Asmussen has run 38,628 horses, also second all-time. This entry was posted in NL Article, People and tagged 2018 preakness, pimlico, steve asmussen by Press Release. Bookmark the permalink.